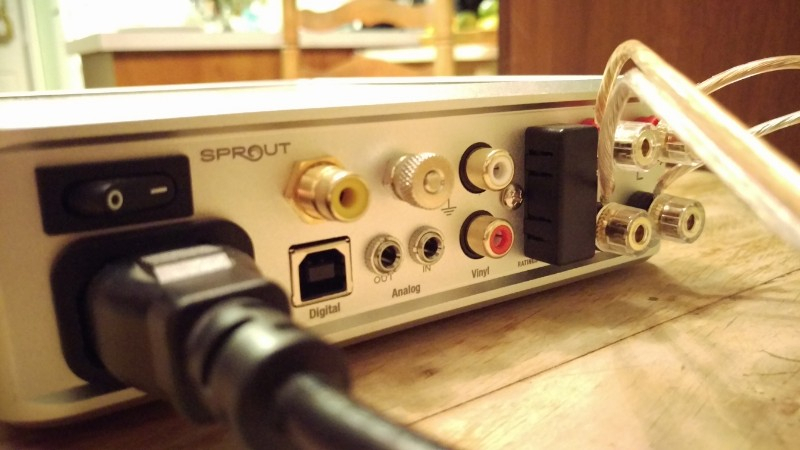 This is the original version with fewer features than the current Sprout100, but the price of these older units should continue to drop, so keep your eyes open for a bargain. I've had my eye on these little units for quite awhile, and finally popped on one. Basically, this is a mini integrated amp with analog, DAC, and MM Phono input...also has BlueTooth for streaming from smartphone or tablet. Speaker output is 33WPC>8 ohms, and 50WPC>4 ohms...also has a big headphone socket. Tonight, I paired it via BT with my smartphone, and started it driving a pair of Baby Advent II speakers...for what it was - a great combination spilling lots of detail. 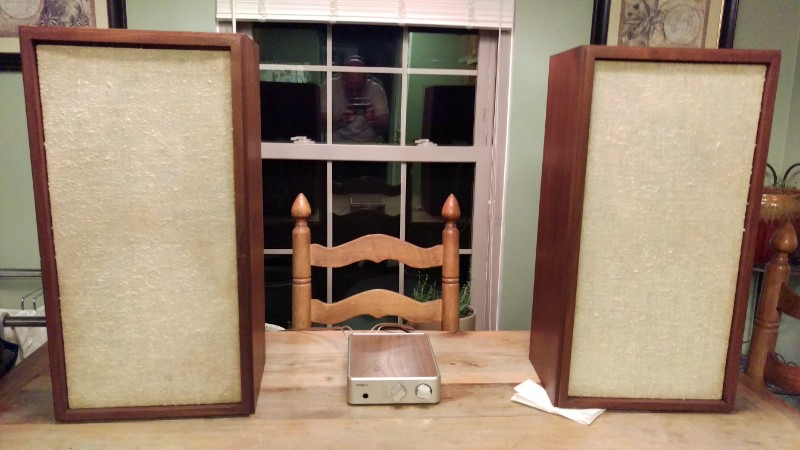 Then I pulled-out a pair of KLH Model Twenty speakers, which are actually 4 ohm speakers. 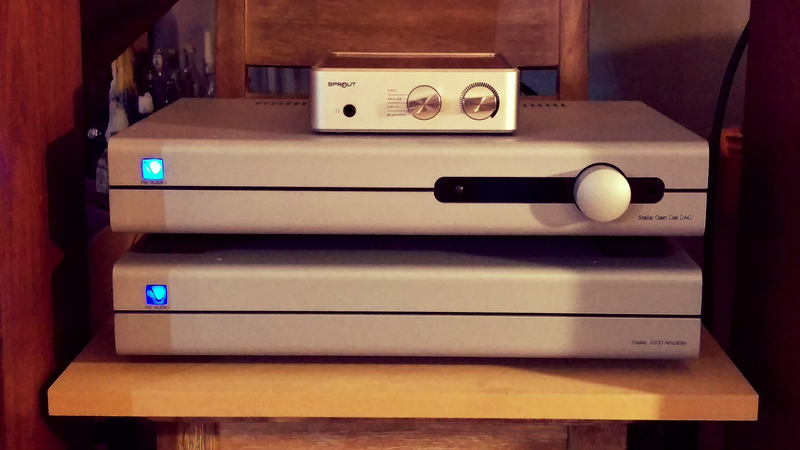 For a small space, or for testing speakers and turntables, this little guy is QUITE handy! Yeah, I can see this guy getting a lot of varied use. I'm not much of a BlueTooth guy, but it was sure handy last night using Spotify on my phone, going through the Sprout. And my wife brought home an old Toshiba turntable from her mom's, so I was able to quickly hook it up and test it through the Sprout. That sure beats lugging out an extra receiver, or swapping out of my main rig. And with the headphone jack, you don't even need to hookup speakers. I kept an eye out on hifishark til I found one at a good price. Have to be patient, though. Some people are still trying to sell them for $400+, which IMO is too much. That is a very impressive little piece of tech. I want one. The only question is which one? 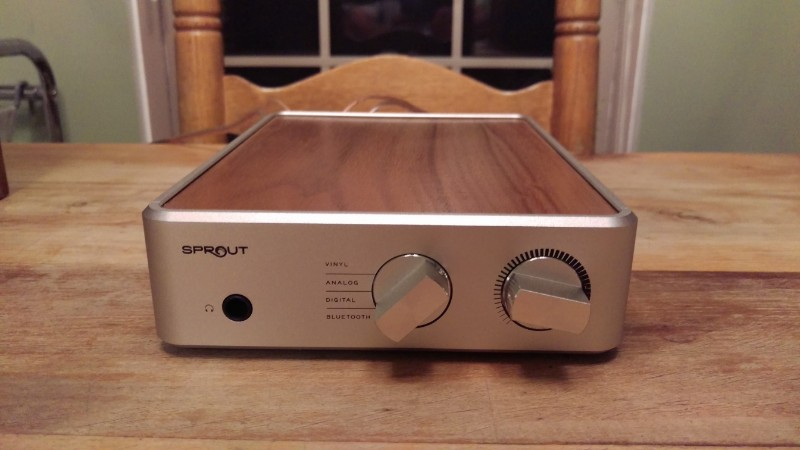 First generation w/ max 50WPC, or newest Sprout100 w/ max 100WPC? If it were me, @joecoulson or @jdjohn, I would get the latest model. Zero Fidelity gave it a very nice recommendation (and he disliked the original quite a bit). He probably got some cash on the second review.